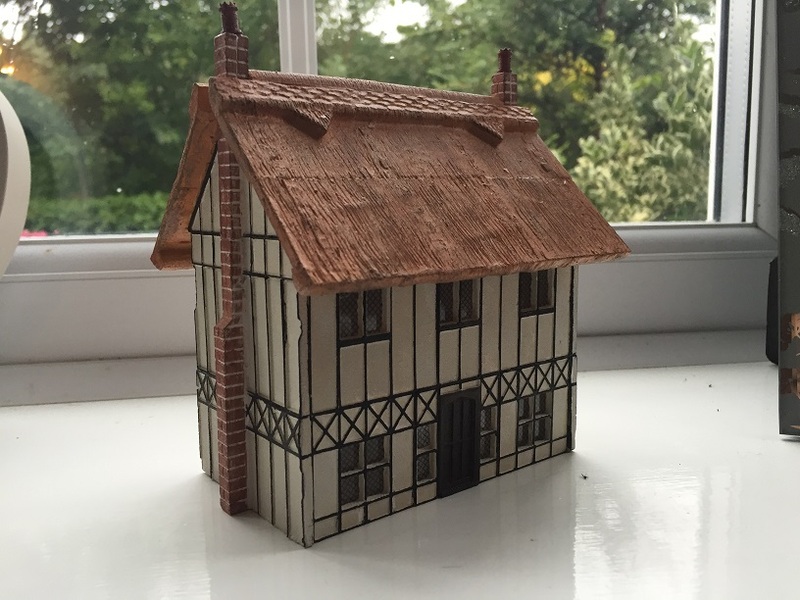 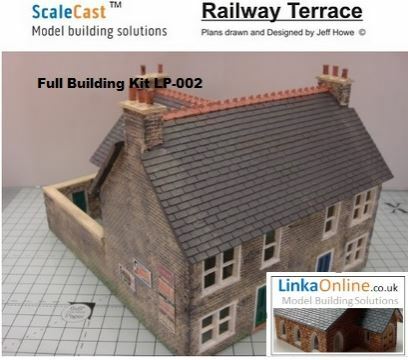 Thanks to Jeff for becoming so involved in our Linka Revival, from a standing start Jeff is now helping to create new plans by building the models and documenting the process along the way, so keep watching for the new building plans and kits that should be coming online soon. 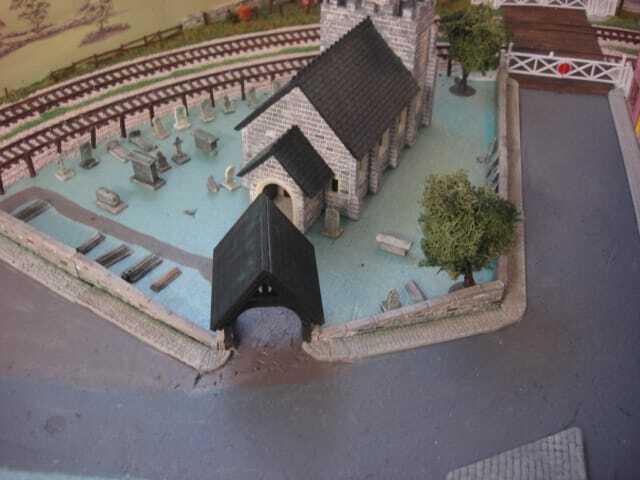 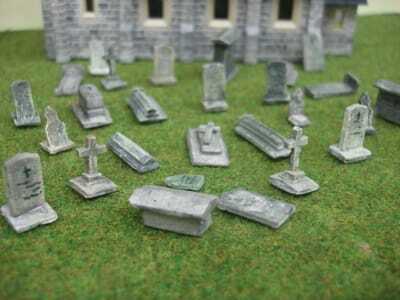 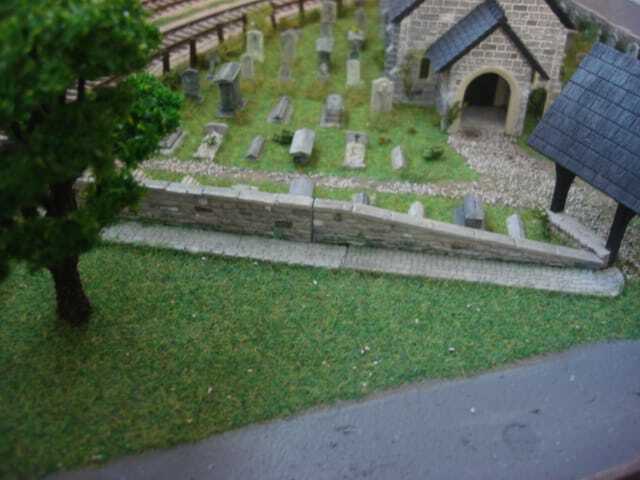 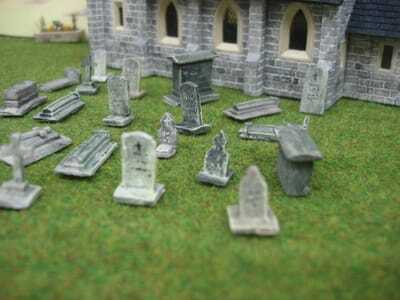 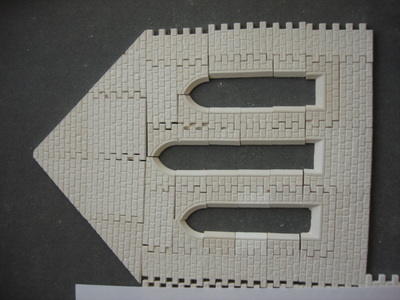 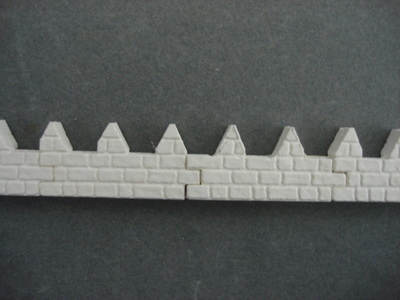 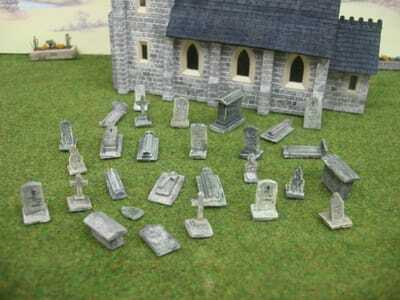 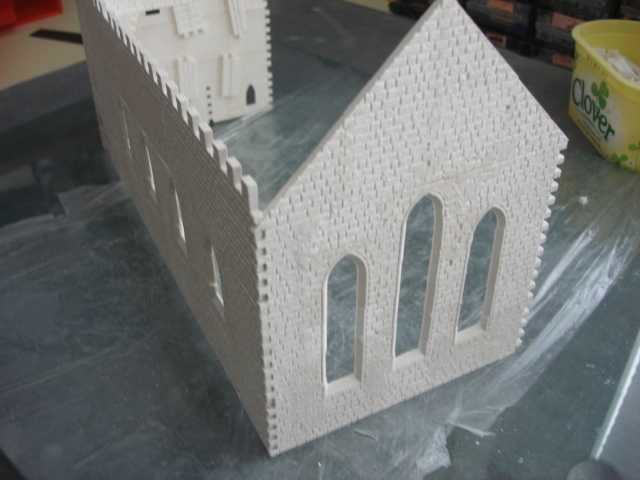 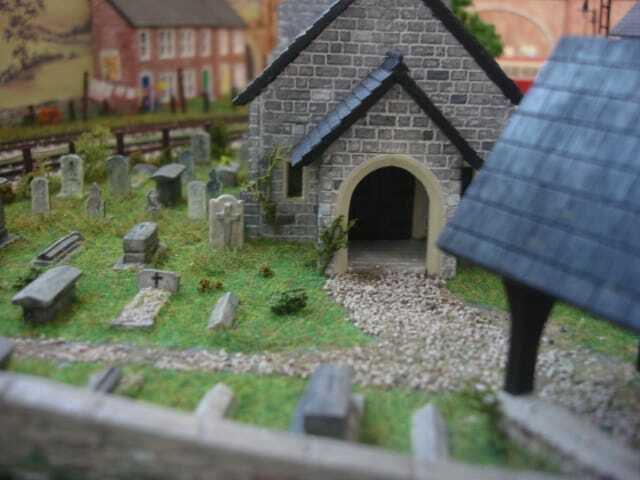 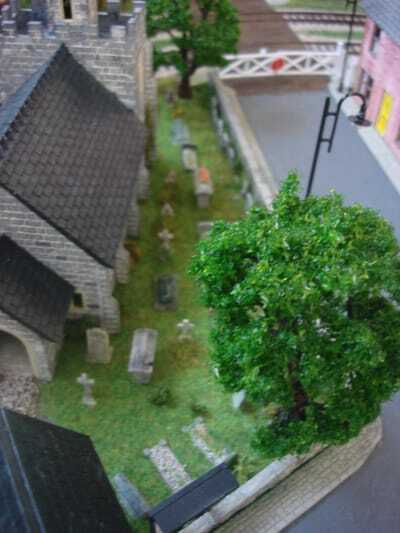 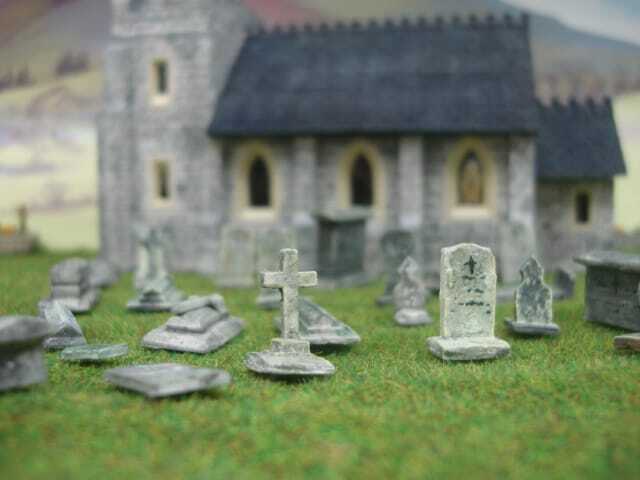 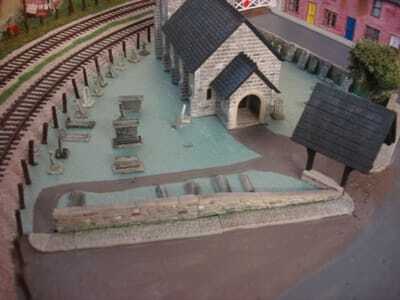 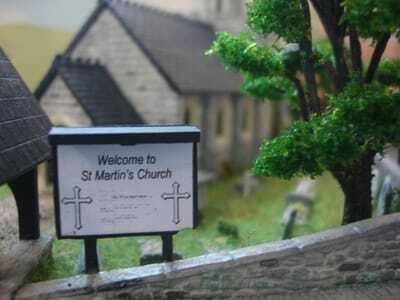 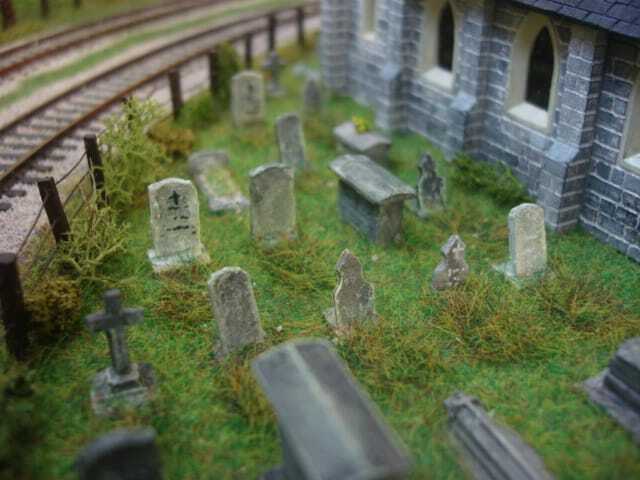 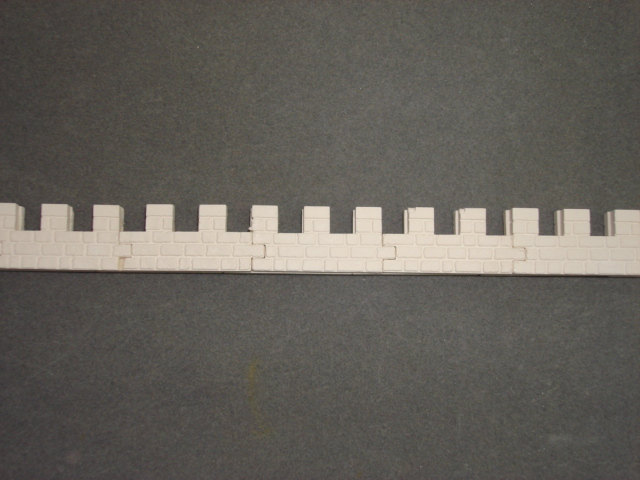 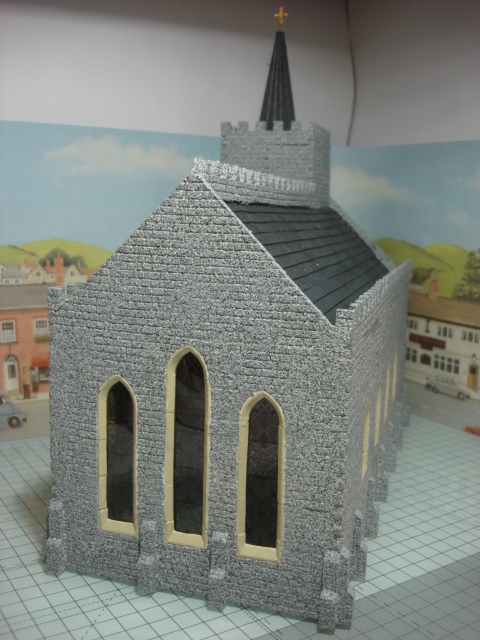 After building the church and adding it to my layout I knew there was something missing and having looked at what was available I thought it would be good to have a dedicated mould for gravestones, so I set about hand making each one and then sent them over to Martin so we could add them to our detailing moulds. 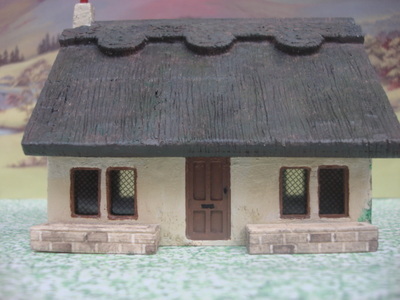 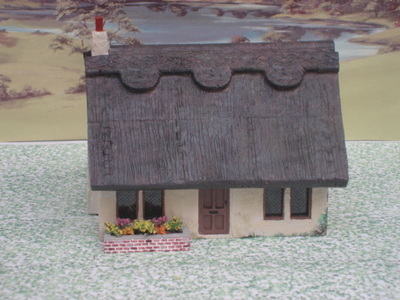 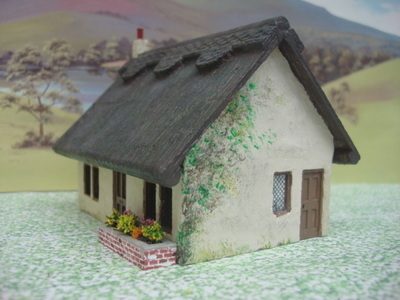 Making the new Thatched roofs was on the to list for a long time, so I went about creating the casts from scratch, it took a lot of work getting every piece to look right and I wanted to make them in true Linka fashion so needed all the connecting fingers to work as they had done since Linka was born. 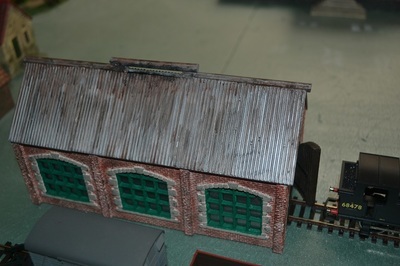 Of course you can use the new roofing on any building just as you did with linka and the models here where more about showing off the new roofing. 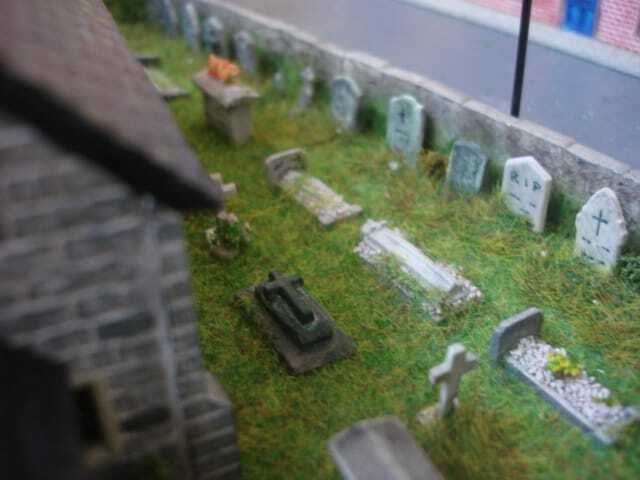 I an Val do hope you enjoy the view. 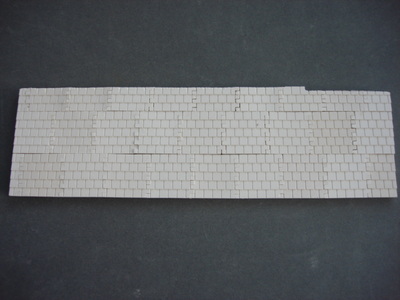 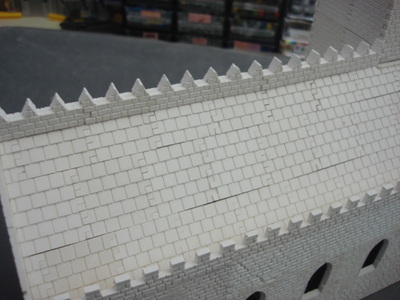 ​As you can see below there are two version of the roofing, one with triangle cuts and the more recent rounded cut. 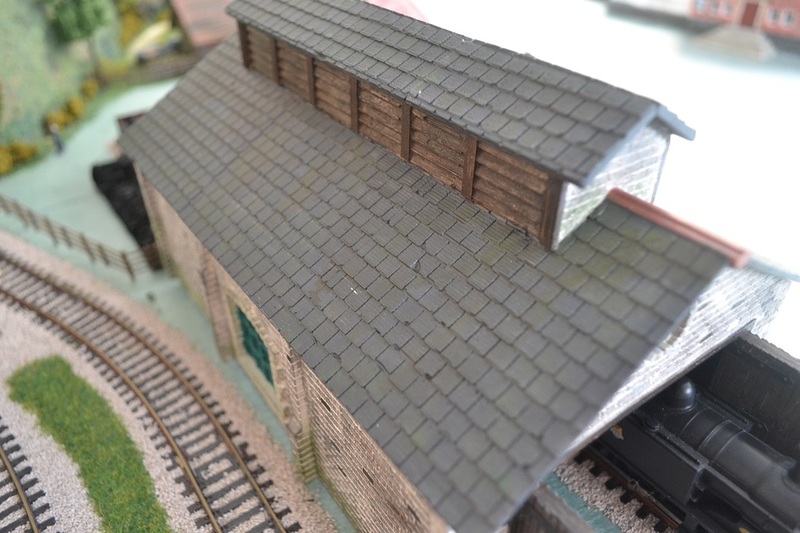 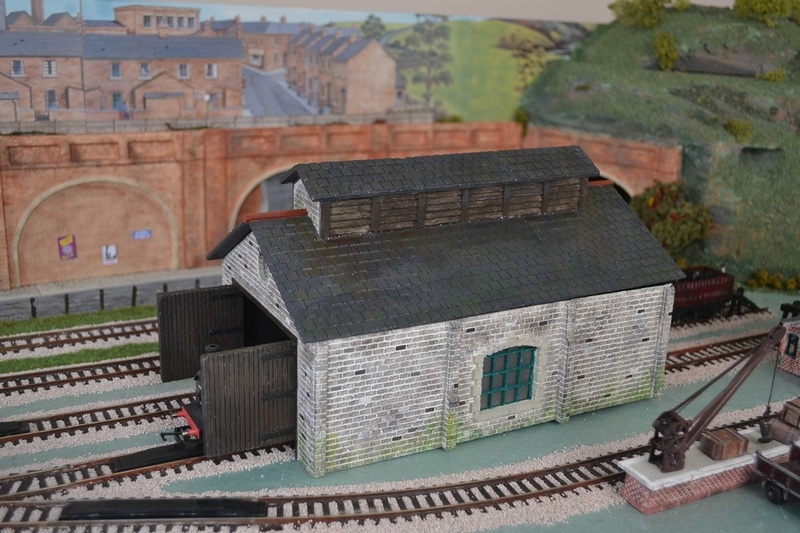 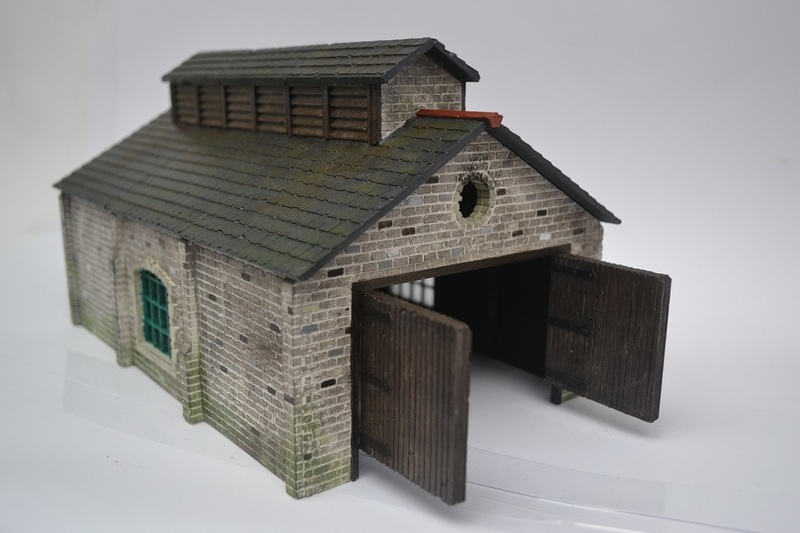 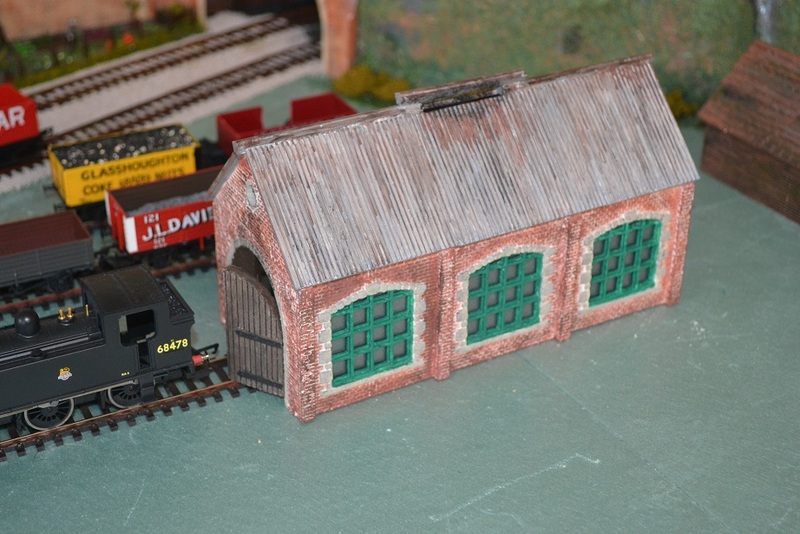 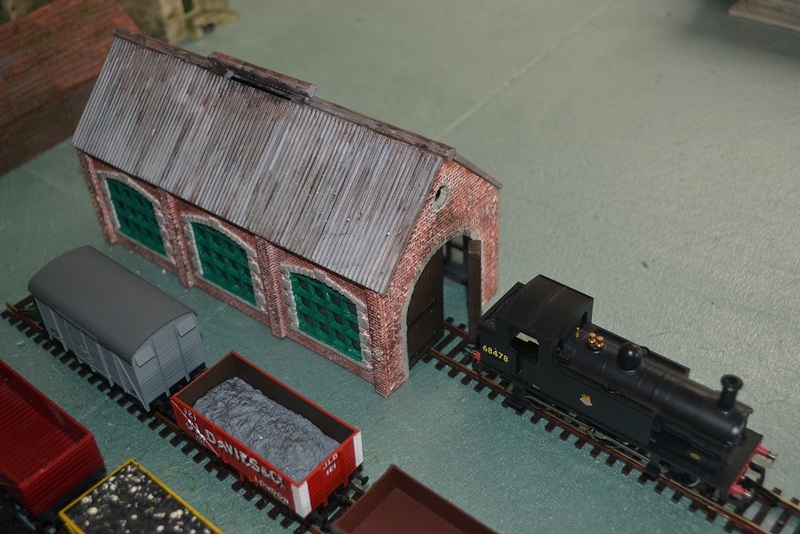 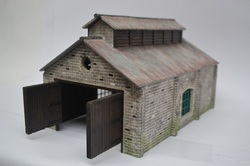 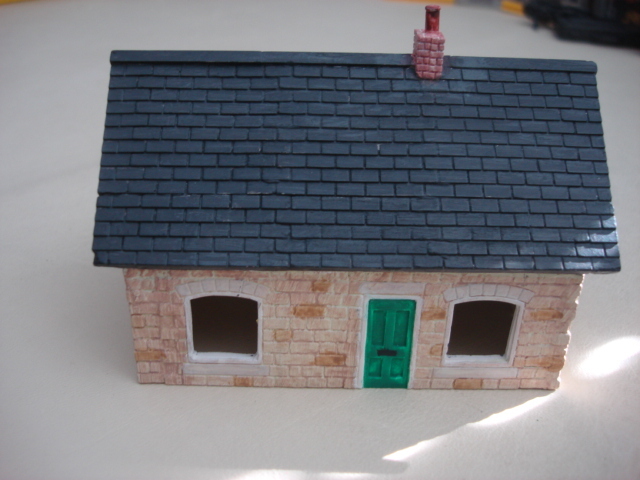 When I started to build the engine sheds I had decided that two would be better than one so I set about building both the slate roof and corrugated steel roof versions, I knew it would mean more work but thought while doing the casting it would be just as easy to make a whole bunch of casts at the same time, then I could just build as much as needed without having to make more casts. I think everyone will agree there is always a degree of frustration when casting lots of parts, those dreaded air bubbles get everywhere !. 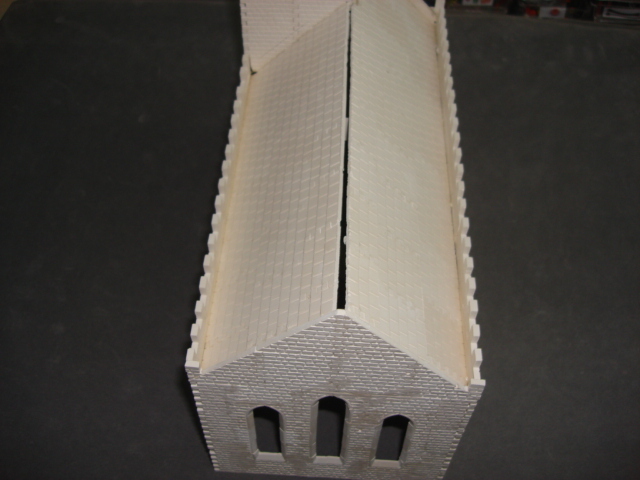 I thought it is time to get this problem sorted so after trying a few different methods I came up with a totally new method and after some trial and errors with the mixing, I finally cracked it. 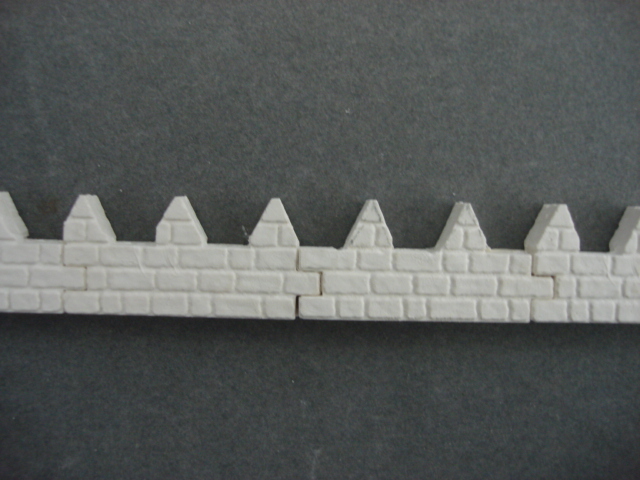 Use 5ml of Fairly liquid mixed in 500ml of water, fill a spray botttle and spray your moulds lightly, then just pour your casting mix as normal, it works a dream, goodbye bubbles and hello to perfect casts. 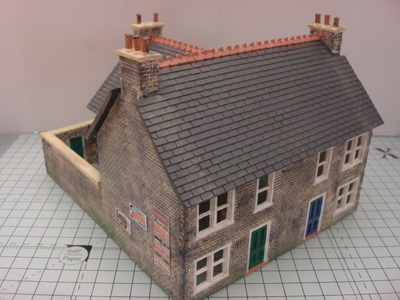 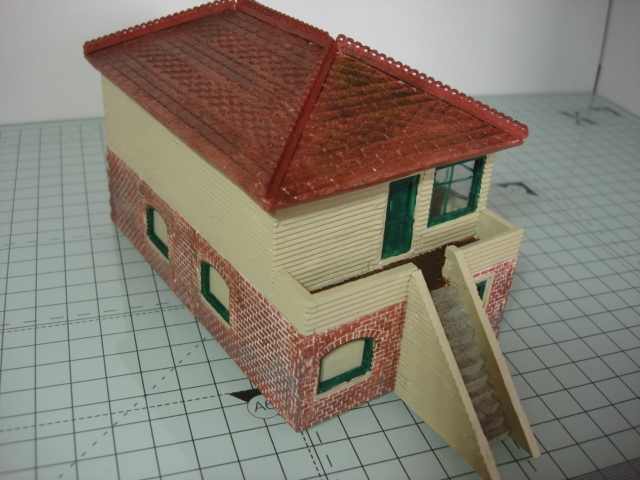 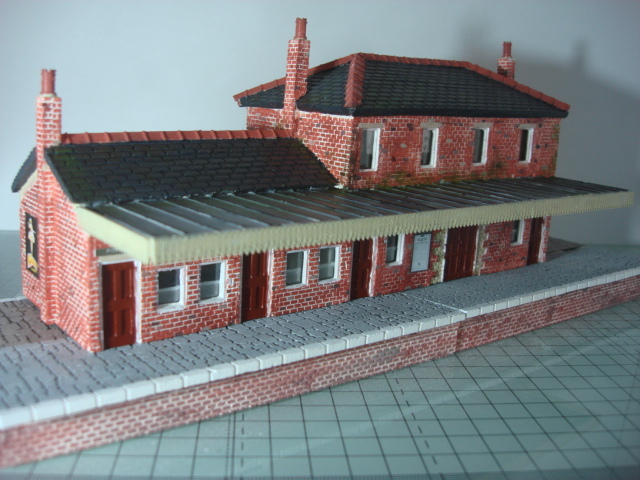 Currently I am building my very first model railway layout and when the new Brick Moulds became available I though I really need to build one of these. 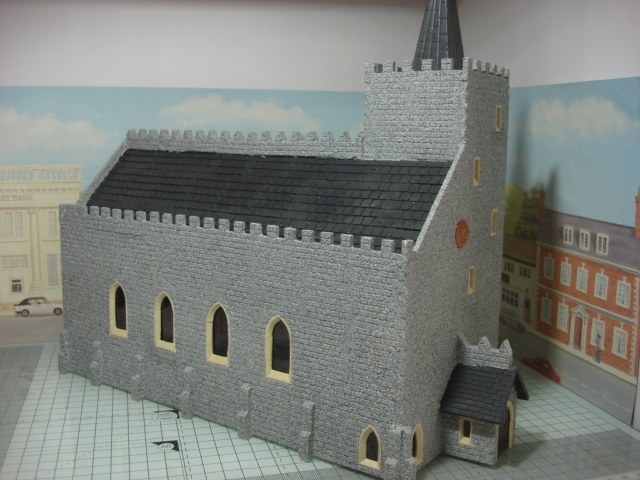 Jeff and his good wife Val have done there awesome teamwork yet again to make this wonderful church. 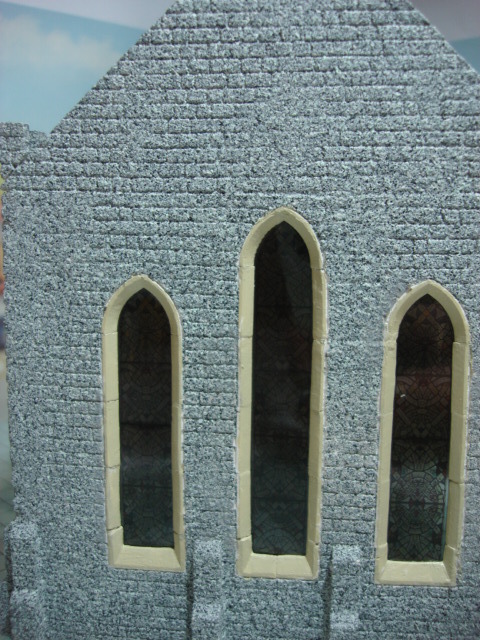 Hats off to Jeff for the detailed stone work and Val for her brilliant paint job. 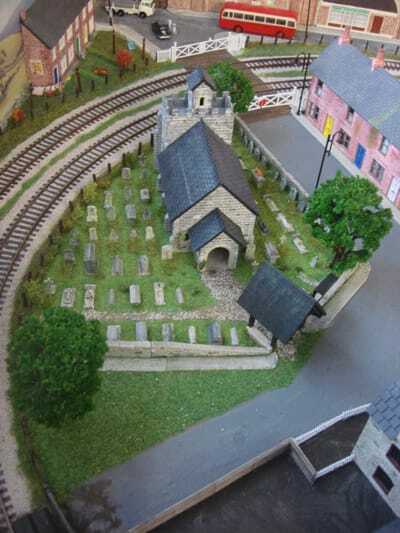 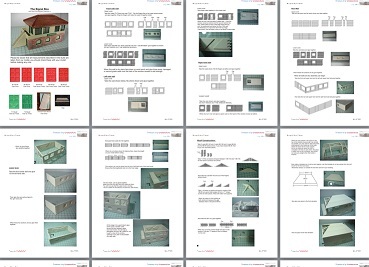 The second plans in Jeffs series are now available and if your just starting out the full kit is also now online. 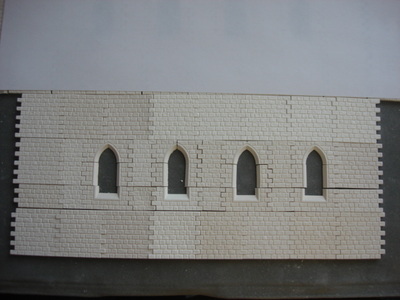 its not difficult to notice that Jeff just keep getting his imagination going and uses every trick in the book to make such great models. 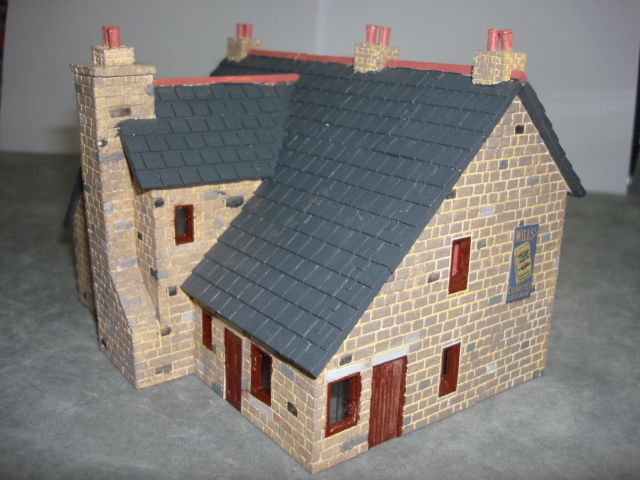 Here is the completed Watermill project, showing all elevations of the build and as you can see with all the paintwork fully finished. 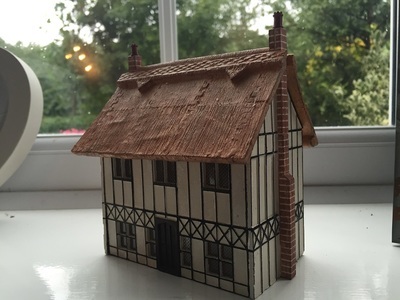 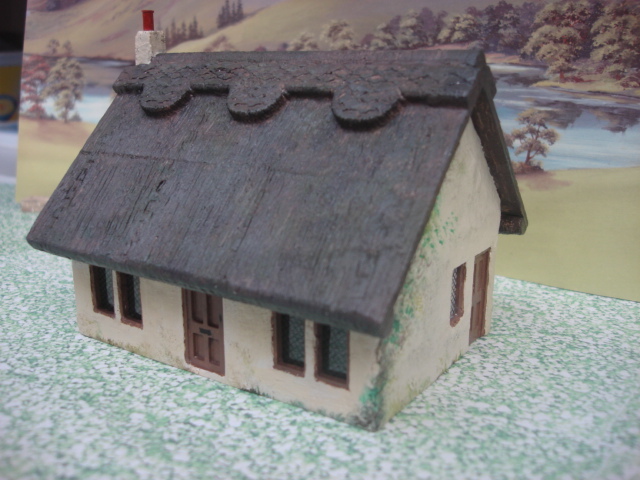 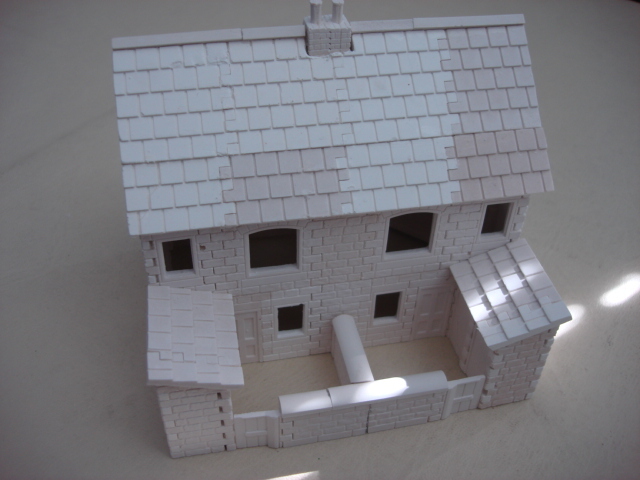 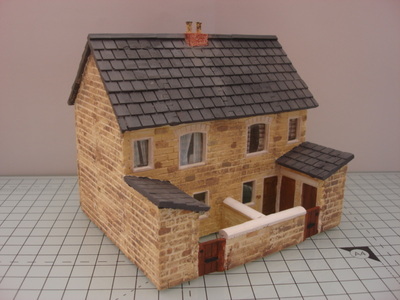 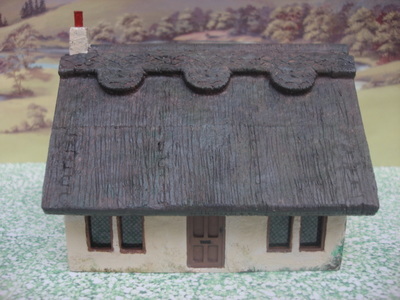 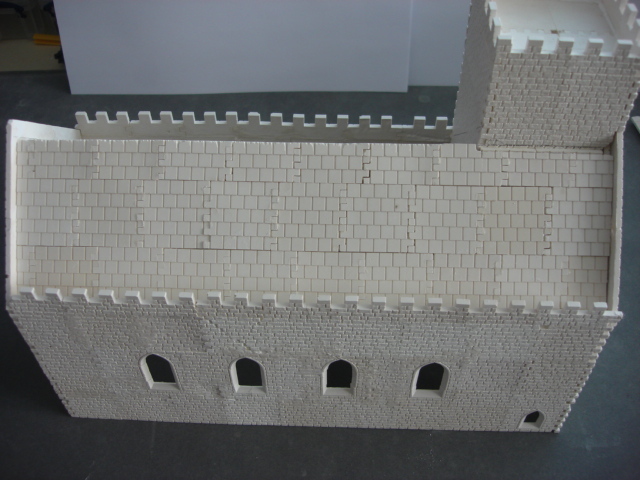 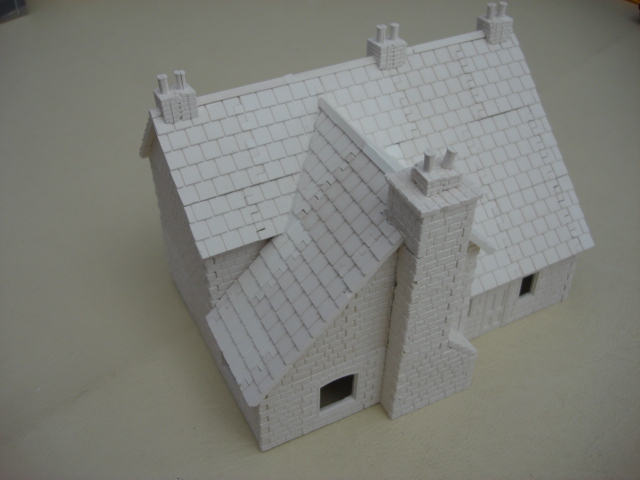 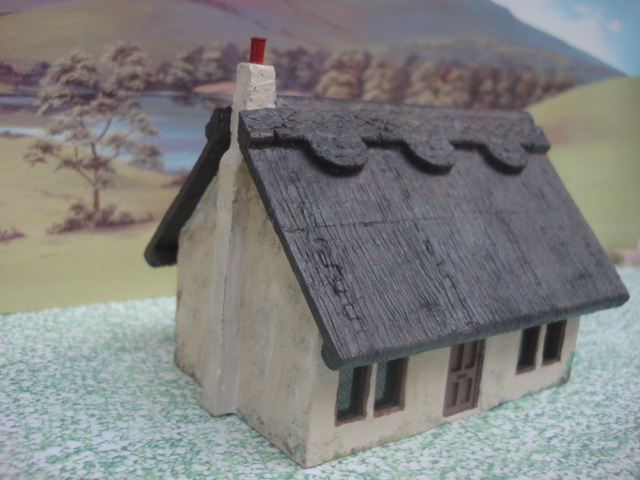 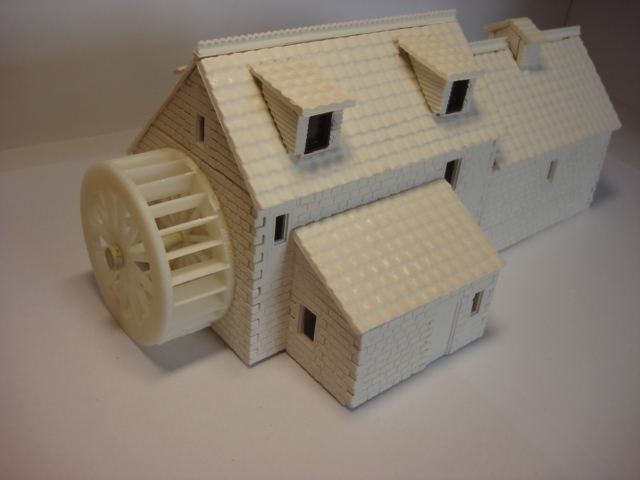 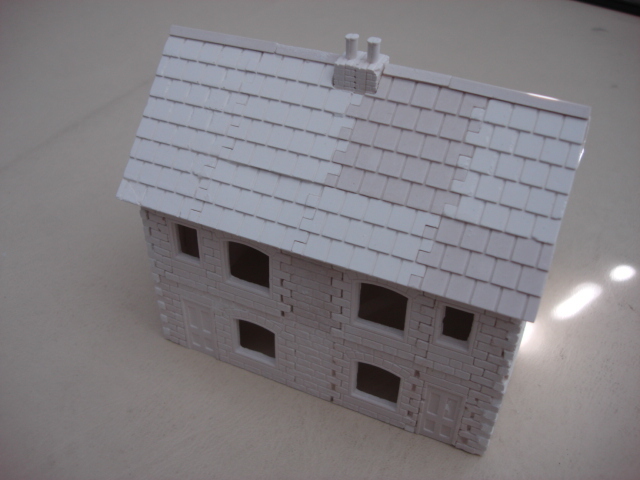 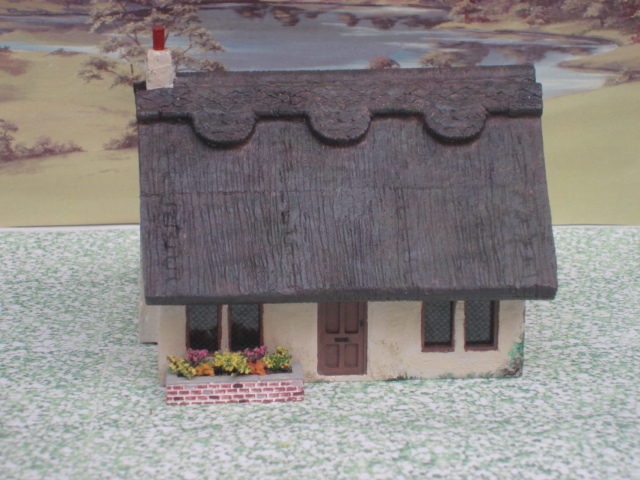 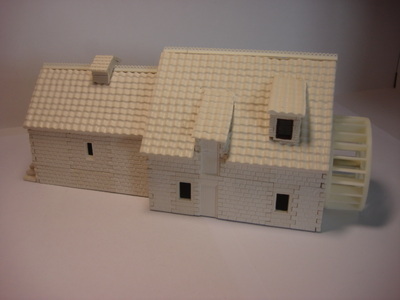 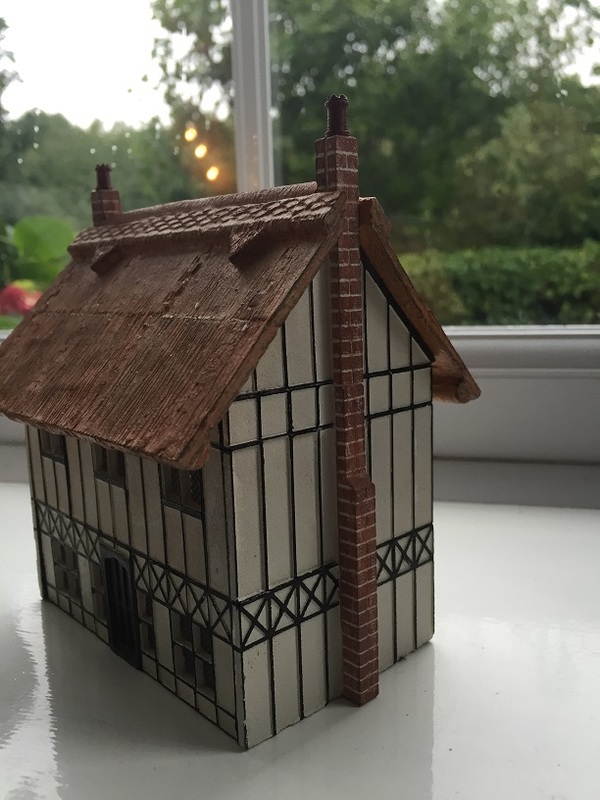 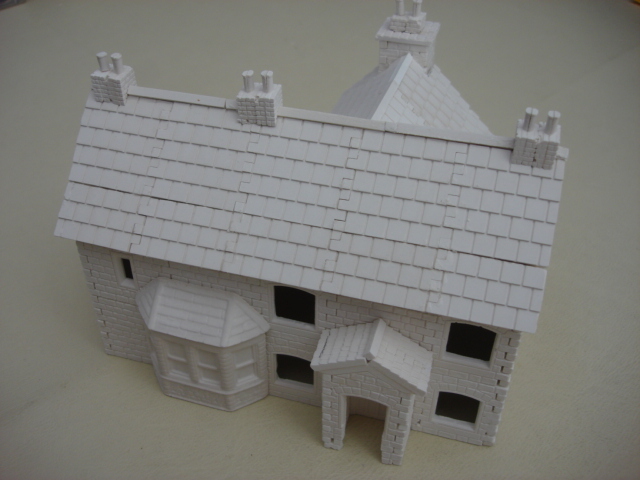 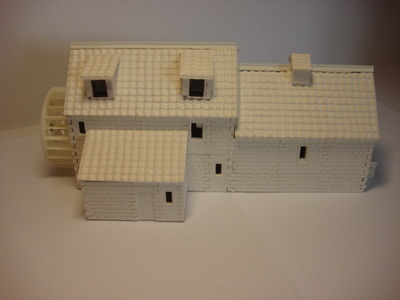 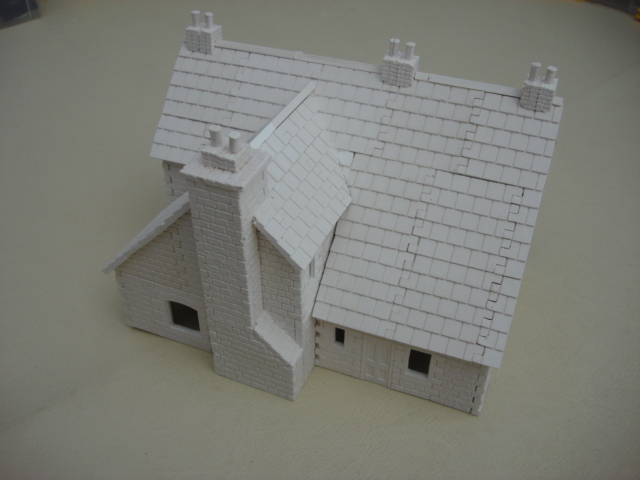 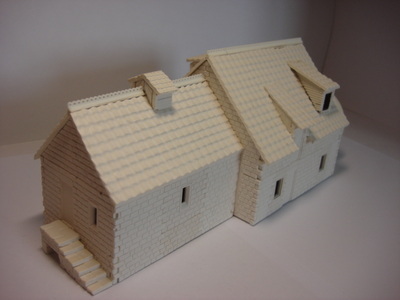 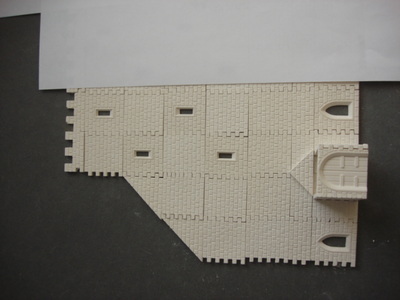 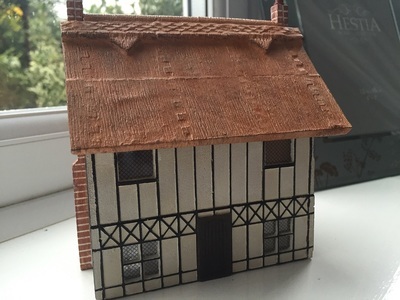 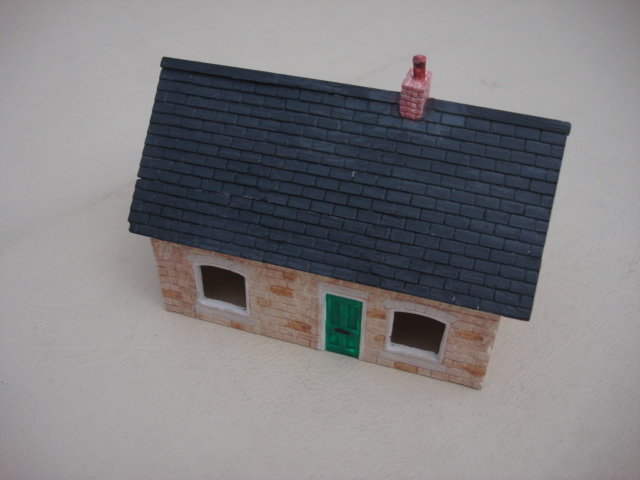 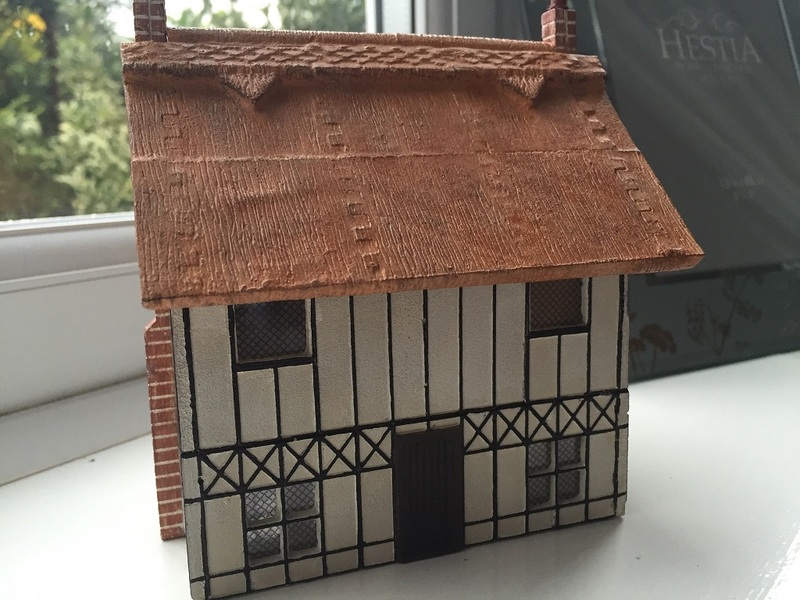 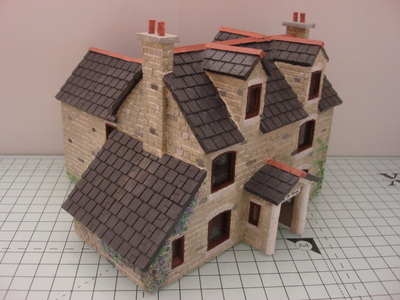 To produce the Model Jeff used the Waterwheel and roof ridges as well as the Large pantile roof mould now produced by Linkaonline. 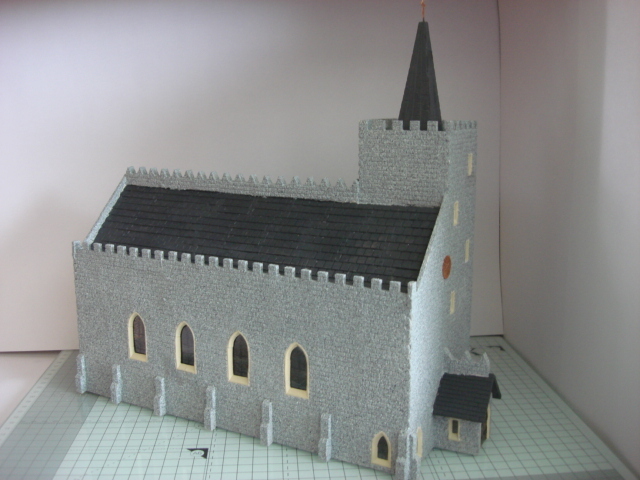 its the first time in 20 years that this model has been build and images available and the new building plans are well underway. 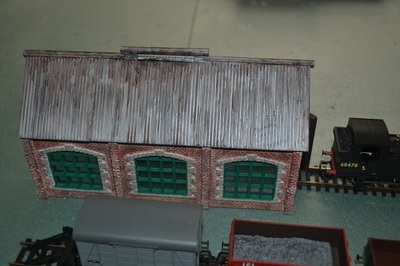 Another great Job Jeff !! 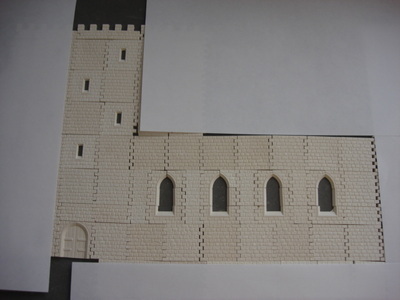 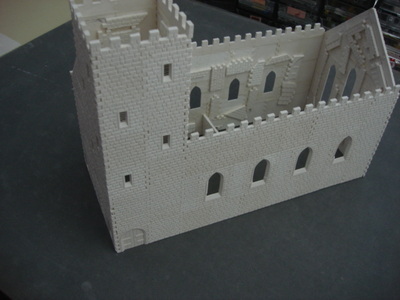 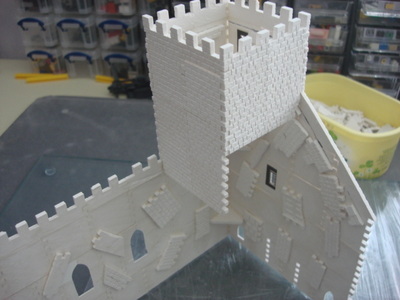 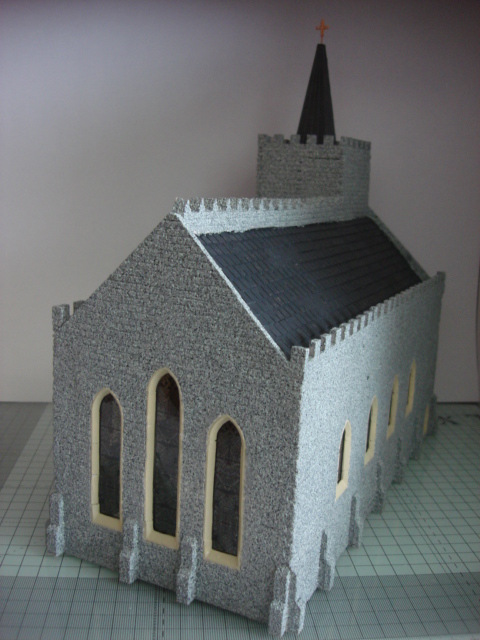 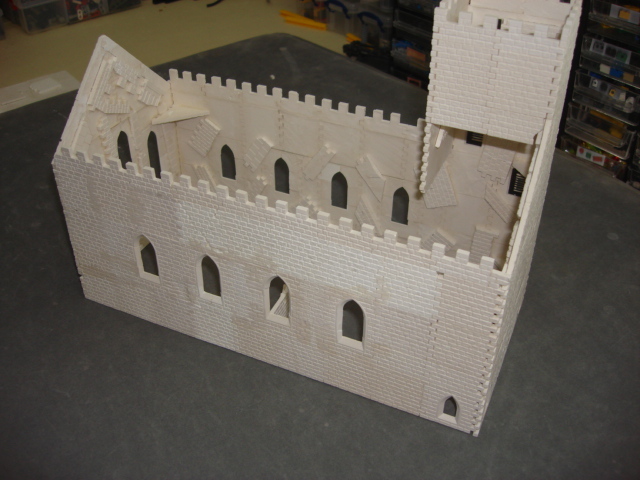 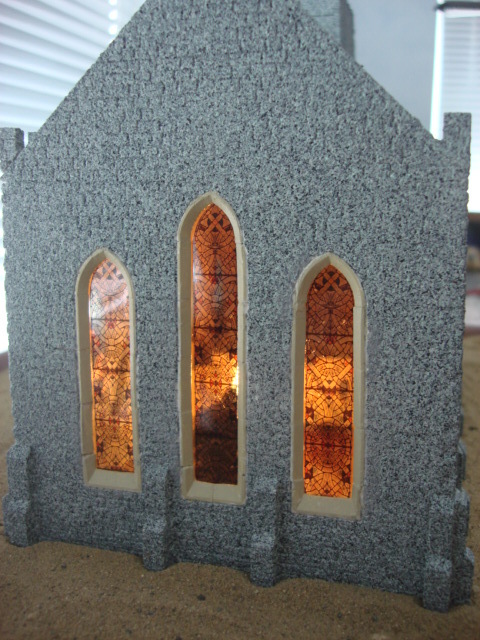 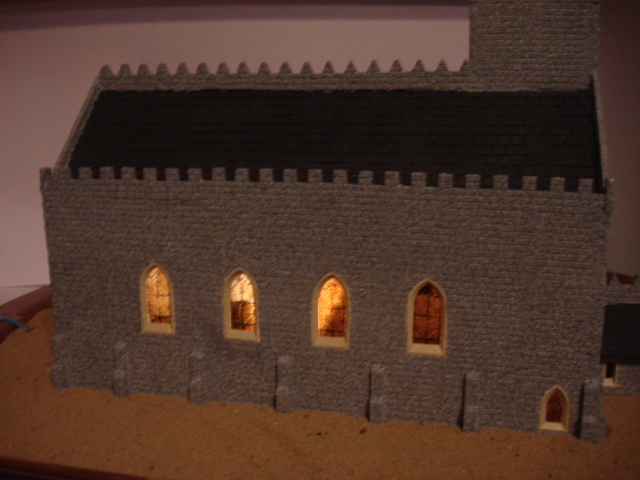 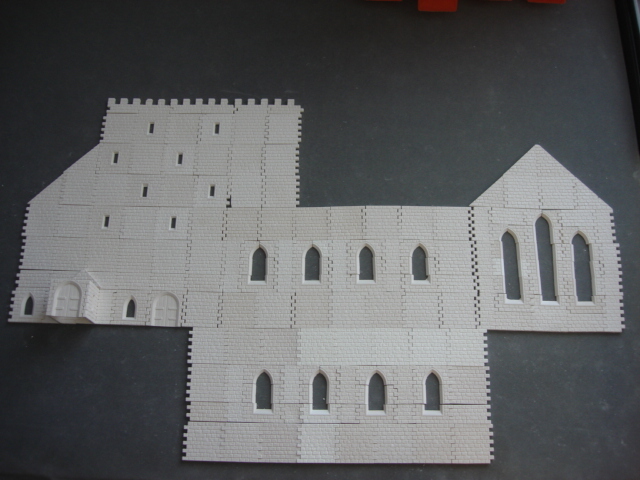 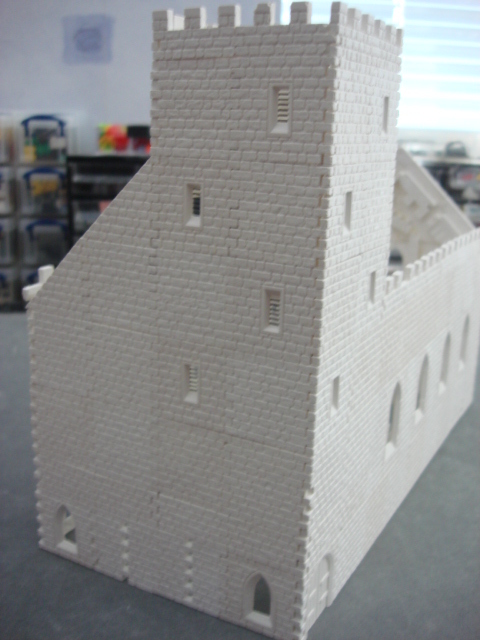 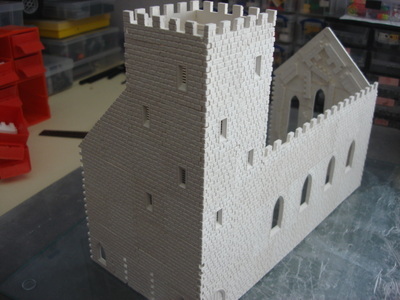 Here are just some of the new images of the church that I am working on and I will be posting the completed model soon. 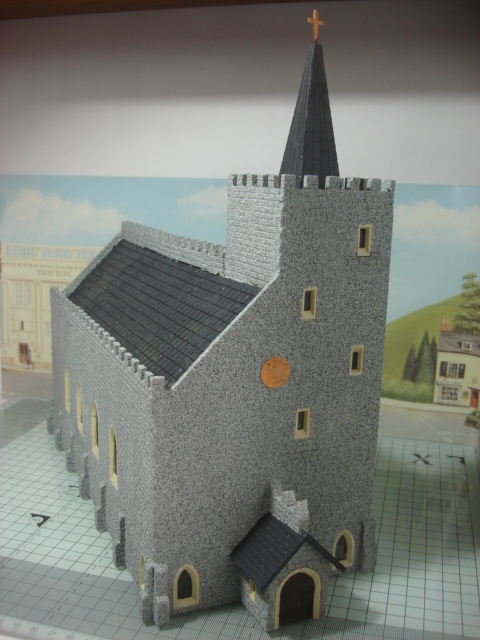 This Linka church can now be seen complete further up this page. 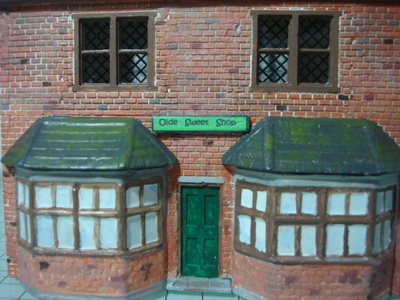 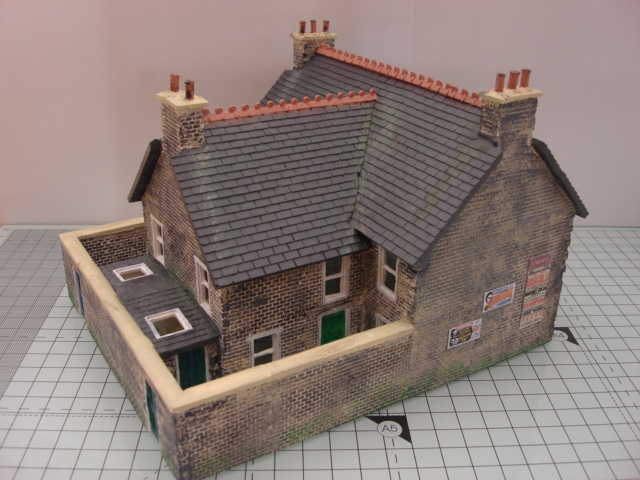 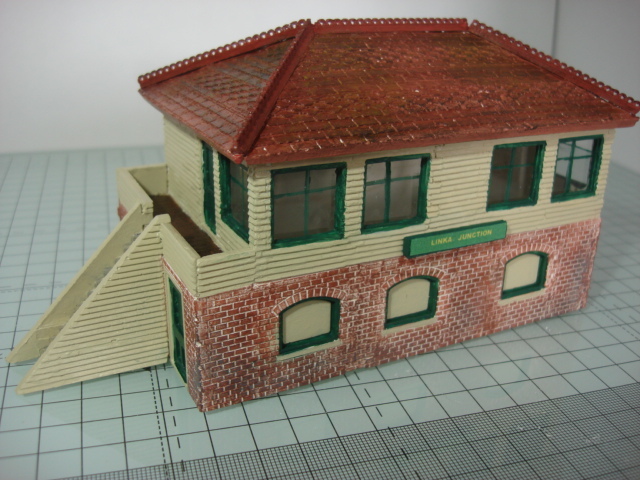 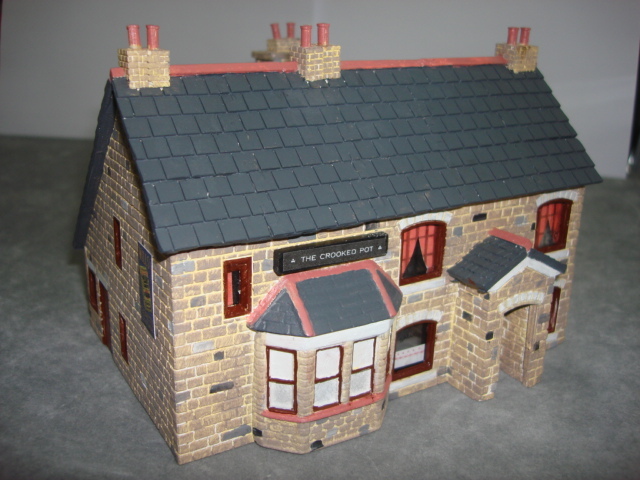 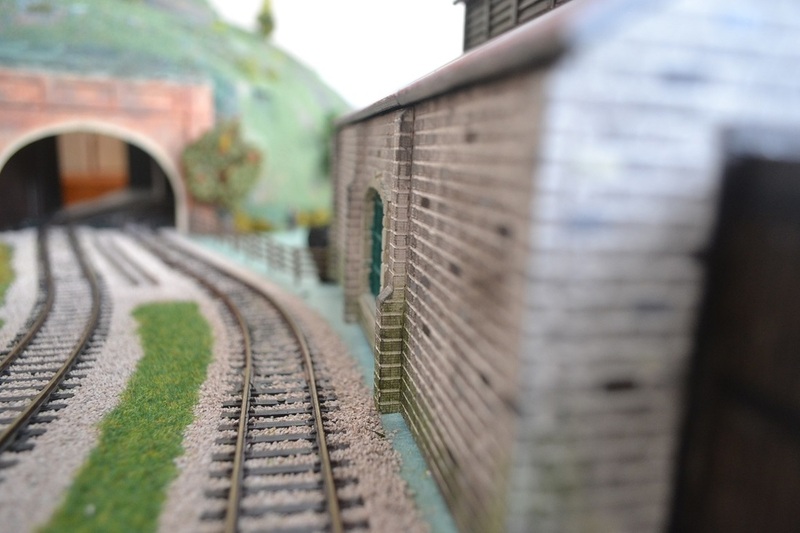 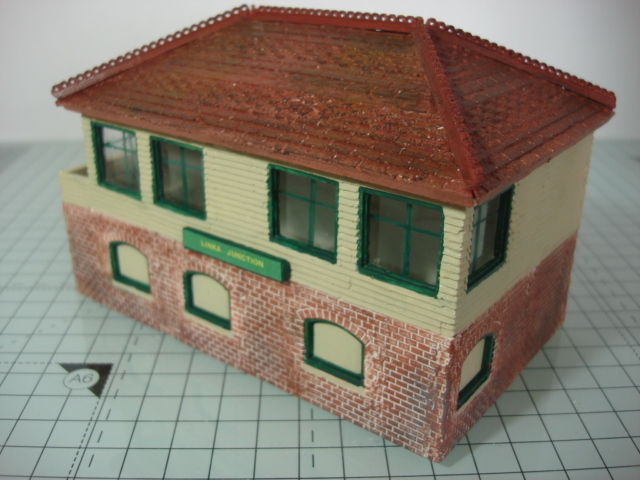 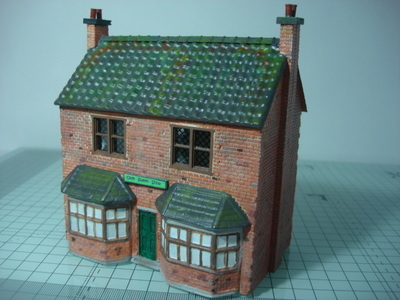 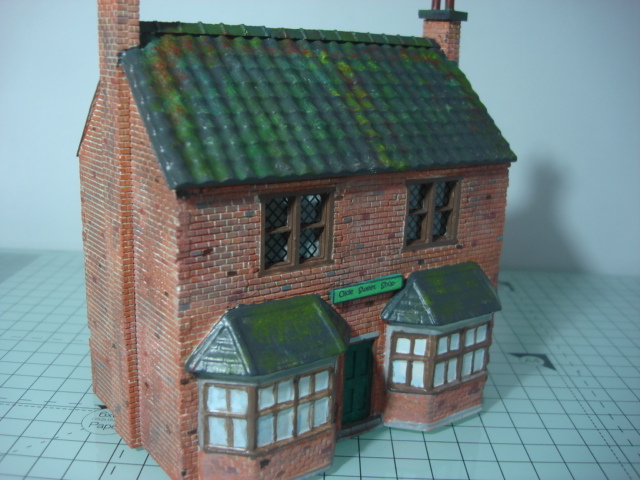 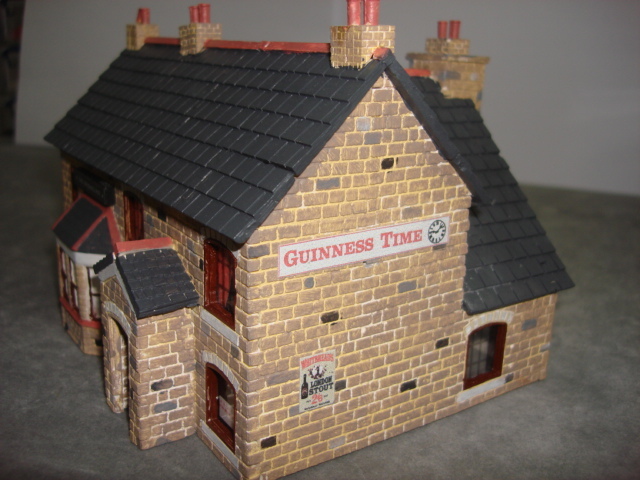 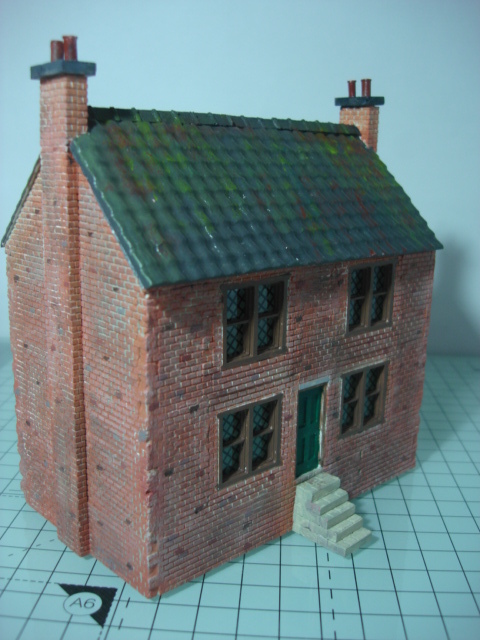 what a fantastic model Jeff has created here, with so much attention to detail this is a real credit to the amount of work he has put in, I can see where he got the great name for the pub now. A 2 up 2 down with outside loo and coal shed in the back yard. Above:- The main project I have started "The Crooked chimney Inn"
Here is my version of the linka inn, different roof tiles, chimney pots my own design on the porch and stacks. 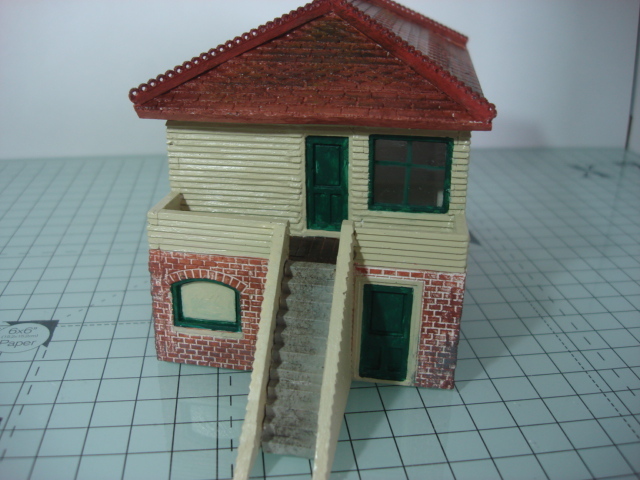 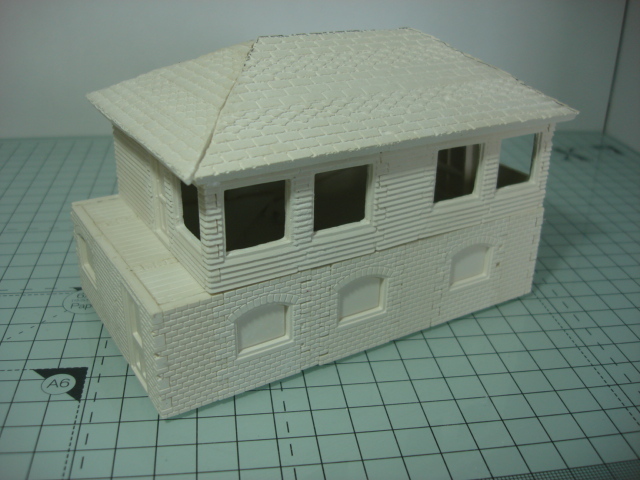 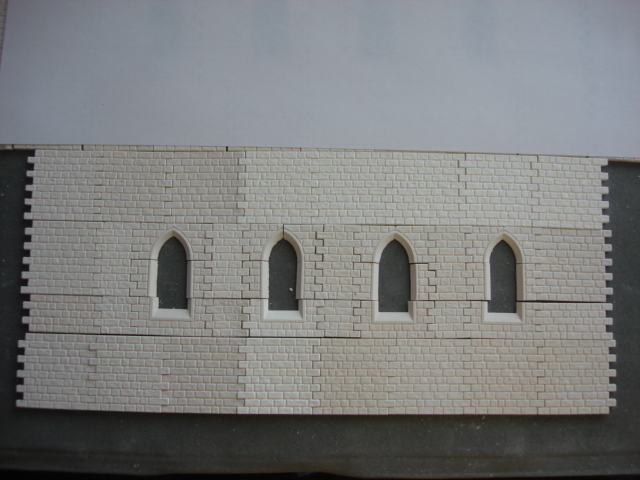 I used the Linka mold for the bay windows. 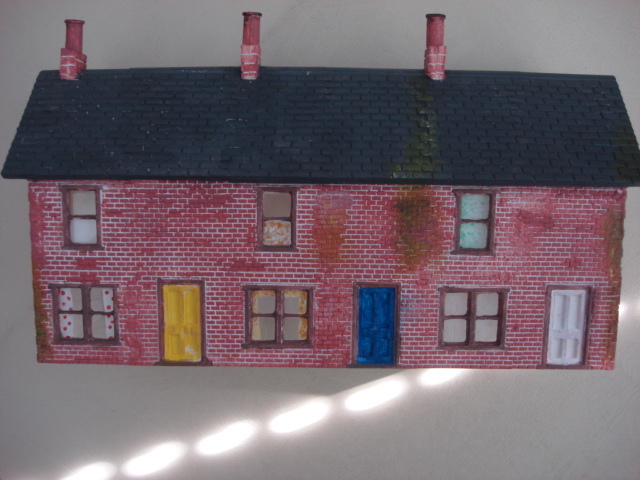 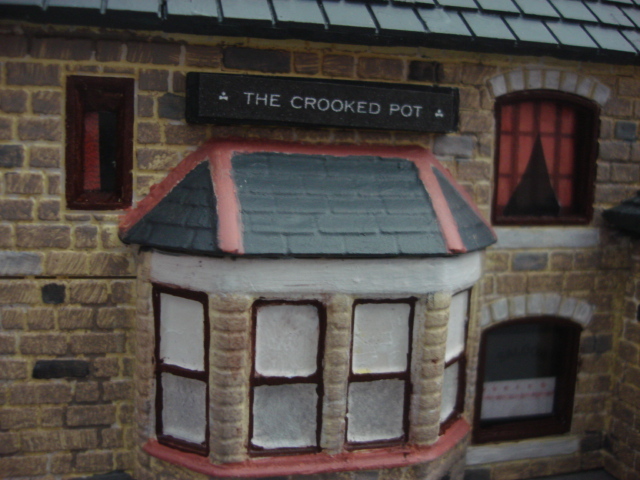 When painted it will be named "The Crooked chimney Inn"